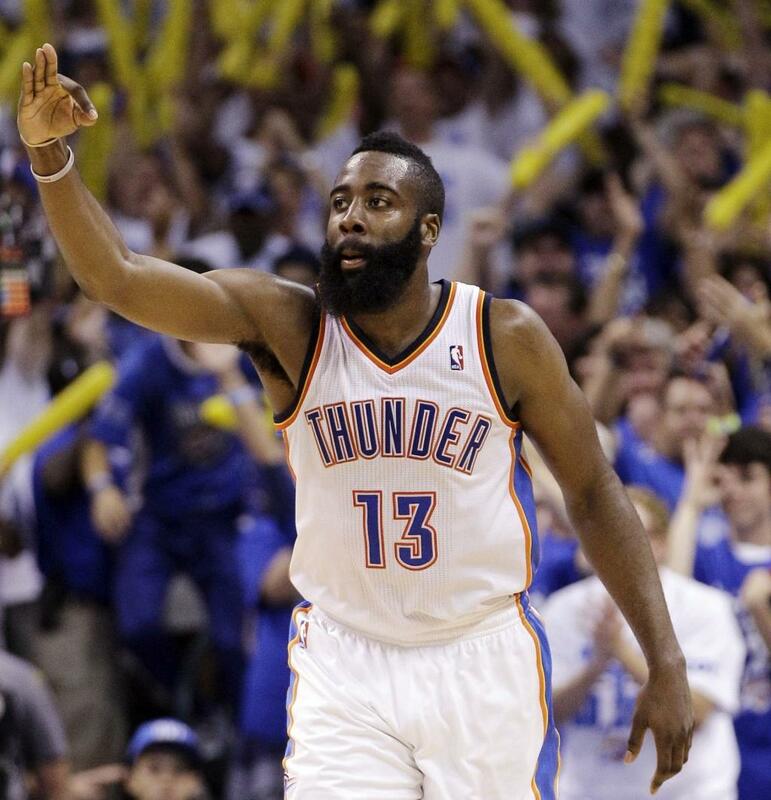 Home » Hoops » DOES OKC REGRET THE LOST OF JAMES HARDEN? Harden was traded to Houston along with four other players. In return the Thunder received 2012 Lottery pick Jeremy Lamb, three future draft-picks and shooting guard Kevin Martin. Over the last two seasons Harden has paid immediate dividends to the Rockets organization. Since he left Oklahoma, he has become a multiple All-Star and a top 5 scorer in the NBA. The lost of Harden has left the Thunder with two predominant scorers. The NBA has become a league where teams need three star players. The Miami Heat has demonstrated these circumstances for the last three years. The front offices of the Thunder chose to extend Serge Ibaka instead of Harden. Two years later, these changes are starting to show. The team does not have a consistent third scorer to help Durant and Westbrook. Some nights it could be Ibaka, some nights it could be backup point guard Reggie Jackson. Oklahoma City blew a big lead to the Clippers in this past Sunday’s game. The Thunder allowed the Clippers to gain their first lead with literally two minutes left in the game. Thunder head coach Scott Brooks did not make any adjustments to their predictable offensive sets. The stubbornness of Brooks allowed the Clippers to constantly double team Durant, forcing multiple turnovers. The Thunder offense goes through two players no matter what the circumstances may be. The lack of a motion style of offense causes other players to stand around and watch.